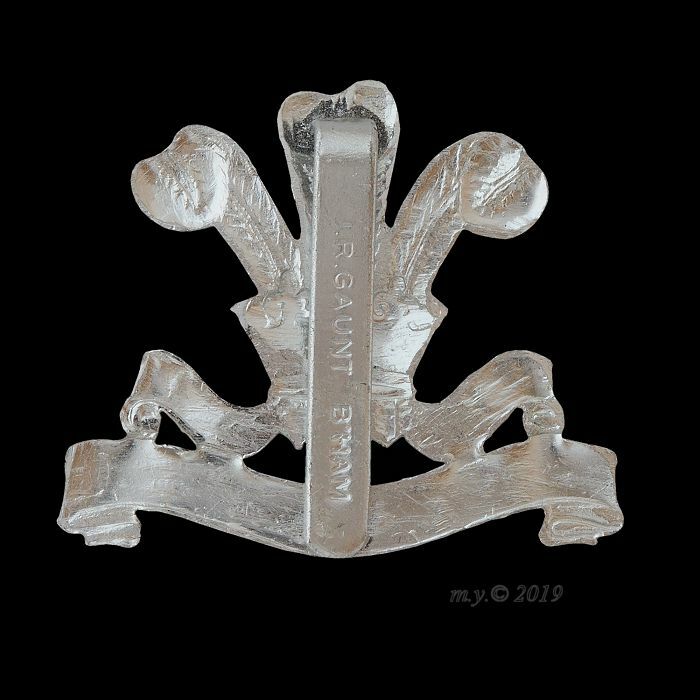 ‘Staybrite’ anodised aluminium cap badge, slider fitting maker marked J.R. Gaunt B’ham. 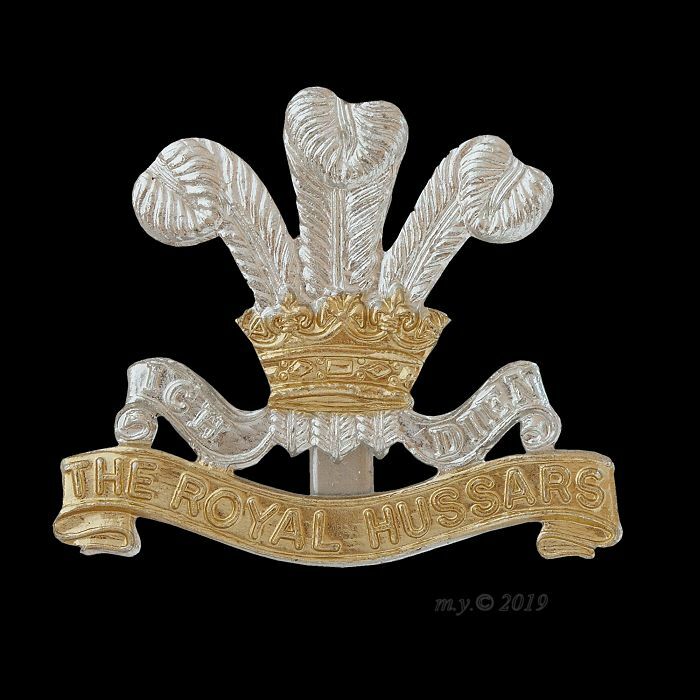 The Royal Hussars formed in 1969 from the amalgamation of the 10th Royal Hussars and the 11th Hussars. 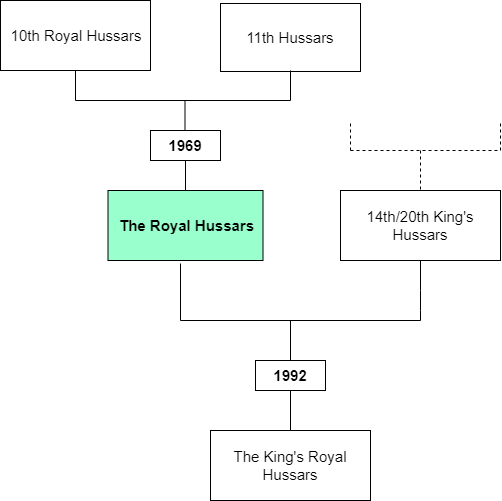 In 1992 the Royal Hussars amalgamated with the 14th/20th Hussars to form The King’s Royal Hussars.